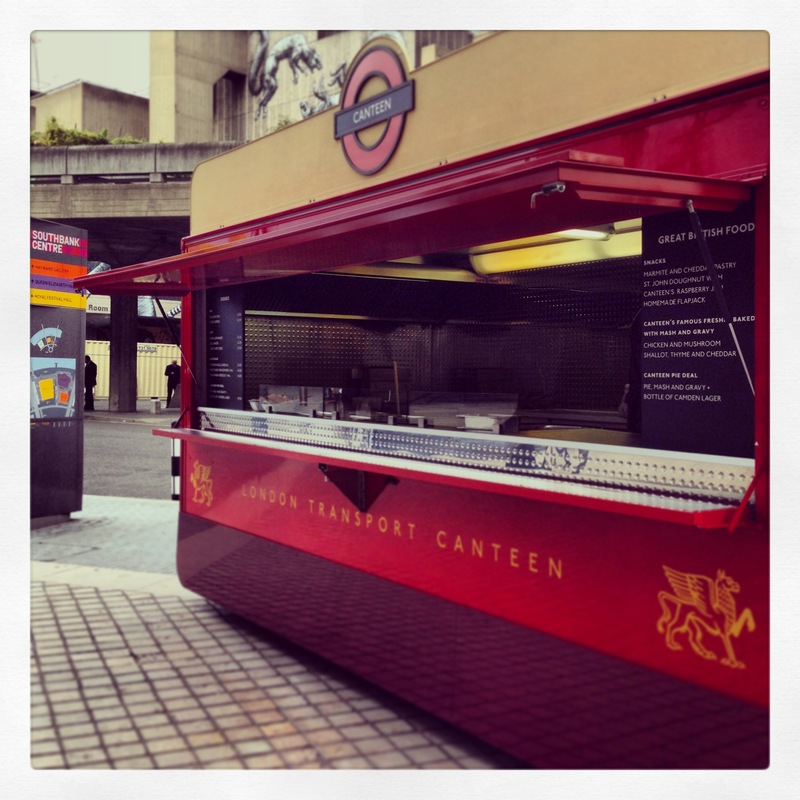 19.09.13 - All aboard the Mobile Canteen at this weekend’s London Design Festival! We’ve a selection of snacks on board too, including limited edition St. JOHN doughnuts filled with Canteen’s homemade raspberry jam…too tasty to miss! Win Canteen’s famous pie, mash and greens for you and three friends at any of our restaurants by entering our prize draw. For your chance to win just buy a pie from our Mobile Canteen and tag your Twitter or Instagram photo with #canteenpie before 8pm on Sunday 22nd September*. You can find our Mobile Canteen opposite Designersblock at the Southbank Centre’s Queen Elizabeth Hall, just round the corner from our restaurant at Royal Festival Hall. We look forward to seeing you this weekend for Great British Food on the move! * Terms and Conditions for #CanteenPie Prize Draw: The prize draw winner will be the chosen at random and notified after the closing date. The decision of the Promoter is final and no correspondence will be entered into. The winner may be required to participate in reasonable publicity arranged by the Promoter. The prize is non-transferable and there is no cash alternative. The Promoter reserves the right to hold void, terminate or suspend this promotion at any time. Entry to the promotion is deemed acceptance of these Terms and Conditions, and entrants may be contacted by Canteen once the prize draw has closed.